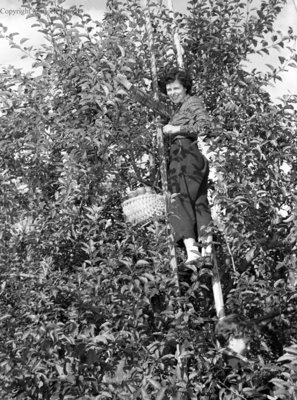 A black and white large format negative of an unidentified woman standing high on a ladder picking apples at Red Wing Orchards. Red Wing Orchards, October 14, 1950, Marjorie Ruddy. Whitby Archives A2013_040_230.